It seems that I am not alone in thinking that the stop-start system on my Renault isn’t stop-starting as it should. Followers of my Clio reports will recall that this fuel and planet saving device, that cuts the engine when stationary, didn’t work at all for some two weeks solid last year, then kicked back in during a lengthy traffic jam. I still think it has a mind of its own, although Renault says the operation relies on several factors relating to the engine. 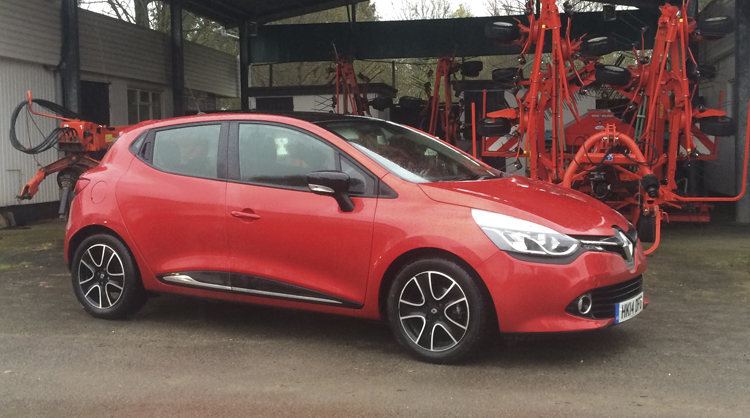 However, as other Renault owners have also complained about their stop-start systems packing up, I asked for more information on its modus operandi. It’s bit detailed and technical, as you’d half expect, but primarily majors on the condition of the starter battery and whether it has enough charge left in it to restart the car. Renault bases it on a ’62 per cent rule’ of its total charge. From a vehicle starting with a battery state of charge (SOC) at 62 per cent, the stop-start function would not then work for around 30 minutes, until it is above 80 per cent, as the charging management would be in boost mode (ie alternator charging), to boost the battery back-up, and so the vehicle will not give the driver a non-starting vehicle. I do have to take issue over whether a brand new car, with its brand new and sophisticated battery, should drop so low after a supermarket shopping spree, let alone an overnight stop. Also, my 45-mile commute on the fast A12 in Essex should have any battery positively overflowing with volts and amps, and yet my stop-start system regularly flags up ‘Autostop unavailable’ on its dashboard readout as I park up. Yet in complete contrast, on more than one instance, the system has kicked in 100 yards from a stone cold start at the end of a working shift when it shouldn’t have done, surely? I think I need to get it checked… although as I’ve never been sold on the real world worth of these things, it doesn’t bother my unduly. I try not to use the handy small centre console that’s forward of the gear lever because filling it with knick-knacks can cause you to inadvertently knock out the memory card that provides information to the R-Link satellite navigation system, and results in a ‘No Maps’ message flashing up. It took me a while to first fathom the problem, and I thought it must be due to my usual ham-fisted nature. That was until another Diesel Car contributor borrowed the Clio recently and did exactly the same thing, but as he wasn’t aware of the cause of the issue, he simply used his trusty TomTom instead. Mentioning no names, I know he did, because it left the ugly suction mark on the windscreen as its calling card! Judging by the number of similarly coloured Flame red Clios around, I made a good choice, which should aid future resale values I reckon. You can inadvertently knock the satellite navigation’s memory card out of the slot, if you use the centre console tray it resides in. Hi, I have a 2014 Grand Scenic, and have the same Unpredictable start stop system, but also have the addition of a voltmeter on my dash so I can monitor the battery voltage and thus state of charge. From new the battery was 12.7 (90%SOC)v, over 9 months this has dropped to 12.2v (50% SOC). The system appears to have no algorithm for journey types or individual use. Most owners will not be aware of the daily damage being inflicted on the repeated deep discharges to the battery until 2-3 years down the line when warranty has expired that they will require a new battery. Any costs saved by the start stop technology will be wasted on purchasing regular new batteries. I had it checked out during my recent service, but as no fault codes were logged, Renault say everthing is fine and working as it should. I have a keen interest in ensuring my batteries are charging due to previously had a 2013 Smax that suffered 4 non starts ( after not being used for as 4 days), a replacement battery and 30 days in the service department in 18 months of ownership. I also have a GTTDI Golf for the last 14 years that has only ever had 1 battery, left for weeks on end and still starts every time.